Central and commercial banks don’t particularly like decentralized forms of finance since providing financial control to the people takes the same control away from the bank, and along with it goes away the fat profits and banker boss bonuses. 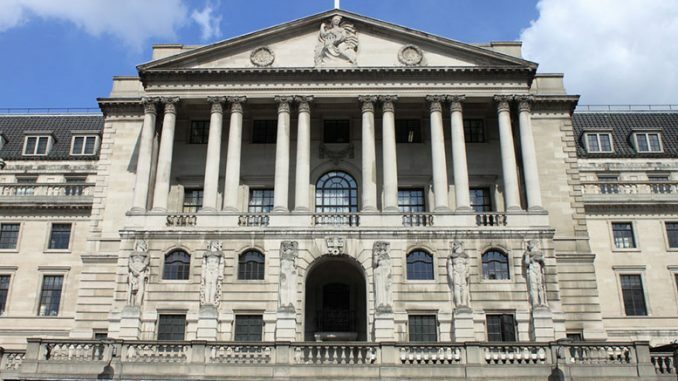 A senior adviser to the Bank of England stated that cryptocurrencies fail the basic financial tests and hence, cryptos aren’t high on their concern-list. Huw van Steenis spoke to Bloomberg regarding the same. Steenis is a senior adviser to Governor of Bank of England Mark Carney, who added that he is ‘not really worried much about cryptocurrencies’. When Steenis was questioned whether he considers cryptocurrencies to be a threat to the central banking system or the economy, he replied stating that- “Cryptos could become potential threats if they are leveraged in the right way. Anyone who has made an international transfer from a bank and has compared it to the minutes, or even seconds it takes for crypto to do the same transaction, will know what is being discussed here. He further went on to acknowledge the fact that bank customers prefer something cheaper, faster and better and banks have also been investing in technology that would provide better and efficient transactions. But they appear to be way behind the times in comparison to the advancements which have taken place in the world of blockchain technology. Most banks charge heavy and have more than a 24 hour wait period for cross border transactions which makes them extremely archaic in nature. He also pointed out to another issue that is a challenge in the fintech platform- supervising them and providing secure transactions rather than allowing the banks to handle these. This throws light on the underlying need of the bank to control the flow of finances between the population. T host David Goodman called Bitcoin boom ‘so last year’ and implied that it was as good as dead and buried if his opinion is considered. He went on to add that ‘digital cowboys’ have been responsible for causing a possible bank crisis, but failed to recall that the crisis was caused largely by banks and not by the technology. Banks taking too much risk, such as Lehman Brothers 10 years bank, is the right example of such a situation. When Steenis was questioned about what banks and platforms of the future would do for the millennials, rather evasively, Steenis said that it was too early to comment. Taking cues from the interview, it looks like BoE is currently wary of technology and in specific, of digital currencies, but not to the extent where it would outright condemn them.